What's happening here? - Welcome to our official website! One of the famous leisure destinations here in Qatar is Qatar Bowling Center (QBC). 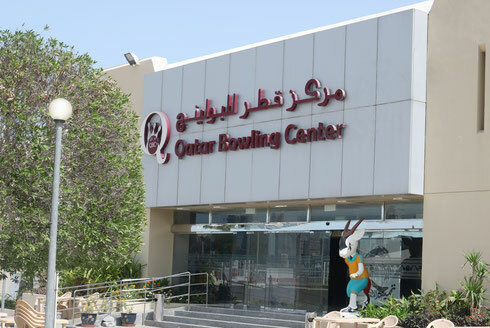 The bowling center runs by the Qatar Bowling Federation (QBF). QBC features 32 synthetic bowling lanes, automatic pin setters with Brunswick automatic scoring, 4 bumper lanes for children. The center is also equipped with various facilities like billiard, snooker, table tennis, minifootball and restaurant that offers mouth-watering foods. A perfect place to host different kinds of occasions like birthday parties, corporate events, meetings, seminars, and other social gatherings at reasonable price. Qatar Bowling Center has served as one of the venues during the ASIAN GAMES way back 2006. 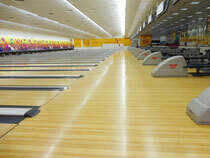 With this, total renovations has been made and international standard bowling facilities has been installed. The center is also the home for several local and international bowling tournaments, some of the international events are the annual Qatar Bowling Open and H.H. The Emir Cup, the GCC Bowling Tournament, ARAB GAMES, and the like.